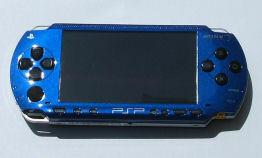 This is a brand NEW Original replacement Faceplate for your PSP handheld system. If your PSP faceplate is badly scrached, the screen cover is badly scratched, and you want it to look like new again -- here's the item for you! This item is for PSP-1001 ONLY. 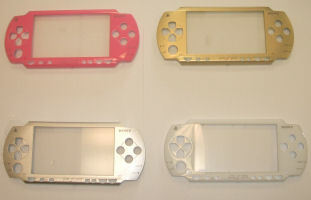 If you need a NEW faceplate for PSP-2001 CLICK HERE. This is a brand new original faceplate for the PSP. We Now have 6 Different colors: Original Black, White, Pink, Silver, Blue (Out of Stock!) and Gold (Out of Stock)!